Human Rights Day is observed across the world on December 10. But there is no rule without an exception. 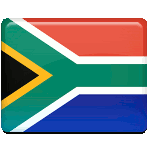 South Africa celebrates Human Rights Day on March 21 in remembrance of the Sharpeville massacre of 1960. Sharpeville massacre occurred on March 21, 1960 at the police station. A crowd of about 5,000-10,000 protestants gathered at the local police station for demonstration against the Pass laws, that would limit the rights of African people of color. The demonstration was reportedly to be peaceful, although the police officers and other sources claim that the protestants started hurling stones into policemen. Two months before the incident nine police officers had been killed under similar circumstances at Cato Manor. This can explain, why the police officers, who were at the station during the demonstration, opened fire into the crowd. The shooting lasted for 40 seconds, resulting in death of 69 people, among whom were 8 women and 10 children. Many of the protestants were shot in the back, as they turned to flee, 180 more were injured. Human Rights Day is annually observed on March 21 since 1994, when it was established as an official public holiday. Then-President Nelson Mandela chose Sharpeville as the place for signing into law the Constitution of South Africa in 1996. In 2002 a memorial was opened on the anniversary of the massacre.